Arriving in tandem with the latest line up of Apple’s Iphone range, Bellroy Wallets collection of cases are both vast and functional. With a multitude of colours and style to choose from, join us as we take a look at what the Australian label have to offer in terms of protecting your newest gadget. Read on to learn more. Bellroy Wallets story began in 2010, with the idea to make wallets and phone cases both slimmer and more durable. With a mission to provide better access, better experiences, and even add a little protection to your pocket contents; Bellroy’s premium range of accessories will keep your gadgets secure in style. 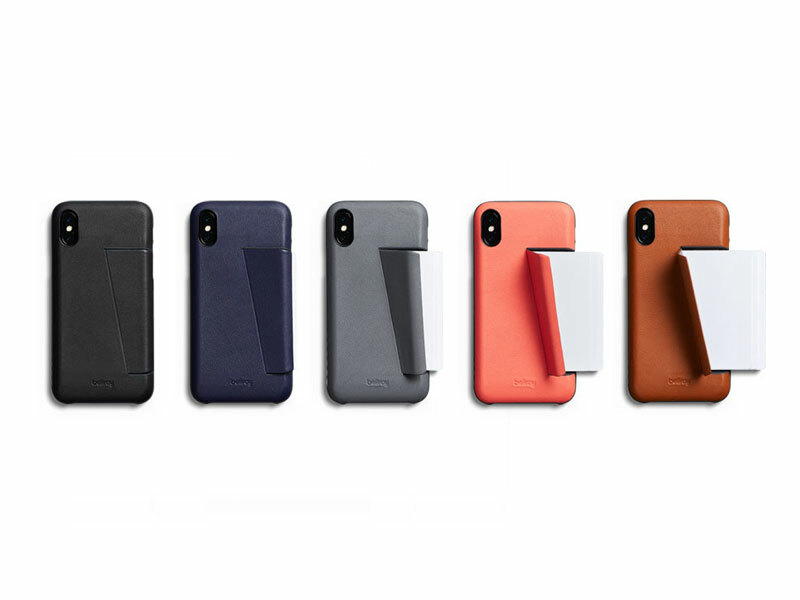 A handy tool for those in possession of an iPhone X or Xs, the Card Phone case from Bellroy offers luxurious protection for your much loved phone whilst doubling up as a minimal wallet. Capable of storing three cards in a handy and discreet compartment to the rear, the Card Phone Case utilises Bellroy’s new flex polymer – offering durability that feels great in the hand. The card compartment to the rear is secured by a small magnetised closure, which can be doubled up as a kickstand for those who like to watch or record on the go. If a premium case that can double up as a wallet for short term use is what you’re after, look no further than the Card Phone Case. For those after an all in one phone wallets, but don’t want a chunky block filling their pocket . 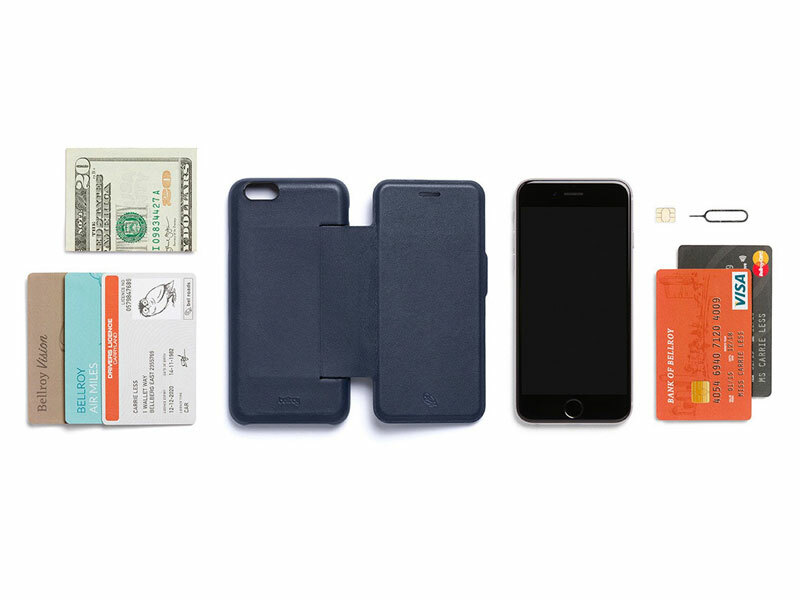 With storage that defies its minimalist design, the Wallet Case from Bellroy assures the safety of your iPhone whilst also having the capacity to carry up to 5 cards in one place. The cover has no bulky latches, instead designed to be closed as you chat on the phone, and is lined with a soft microfiber for a little extra protection. Fit your life in your pocket with the Wallet Case. 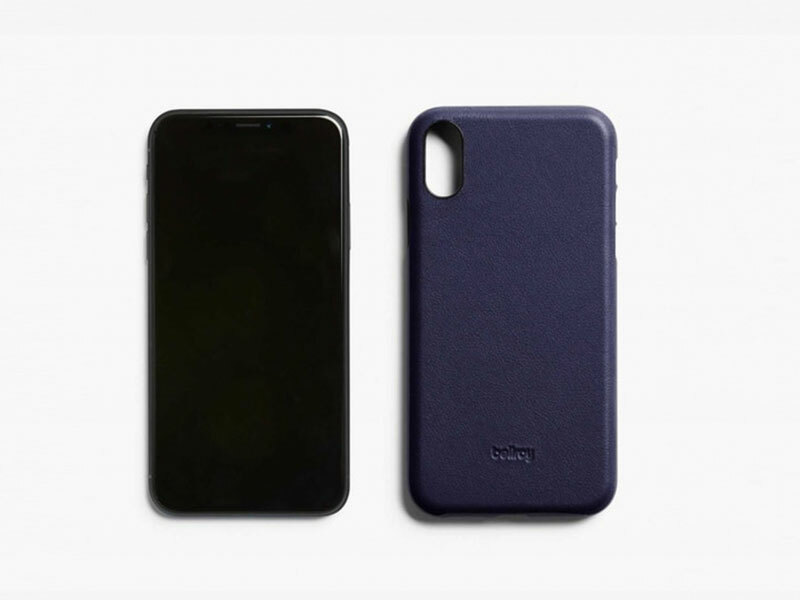 An essential accessory for those in possession of an iPhone X or Xs this Leather Phone case from Bellroy offers luxurious protection for your much loved phone. Engineered using Bellroy’s flexible polymer for durability, and premium leather that feels great, the case arrives lined with a soft microfiber for enhanced protection and scratch resistance. Compatible with wireless chargers, you can rest assured that your phone is safe in a case that is warrantied to perform. The Leather Case perfect option for someone that wants a subtle yet stylish everyday case. Whether you prefer a sleek and minimal style conscious design, or a more practical case capable of store both your phone and wallet contents Bellroy has something for you. Hit the link below to view all Bellroy cases.